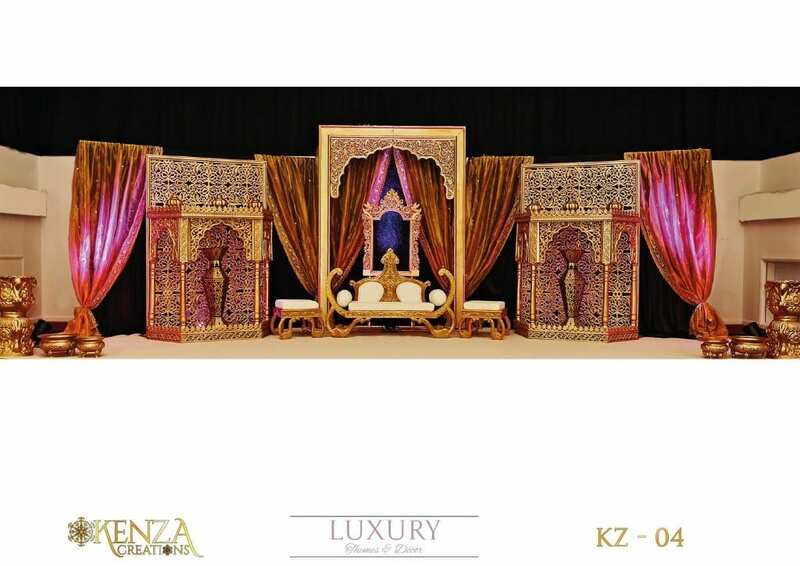 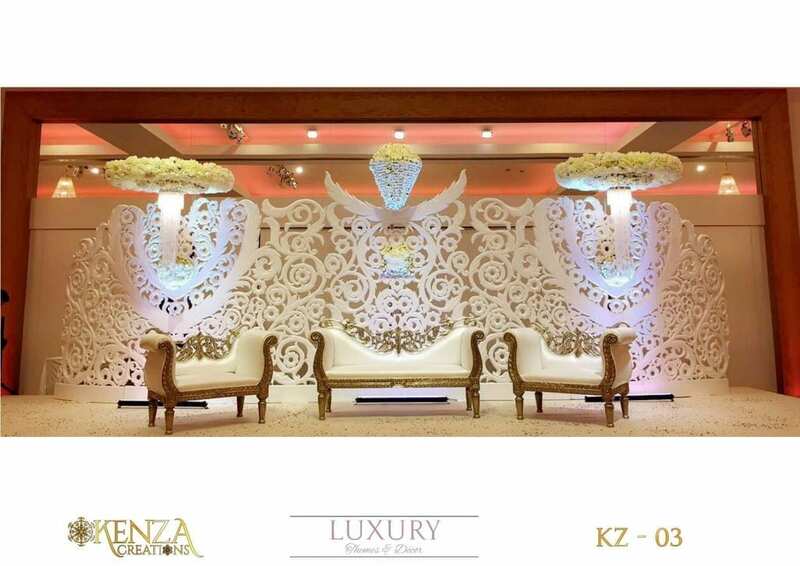 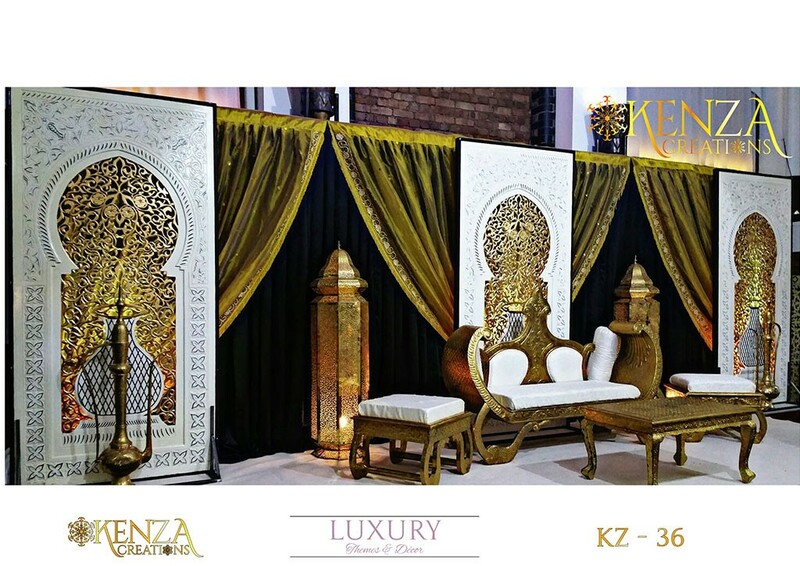 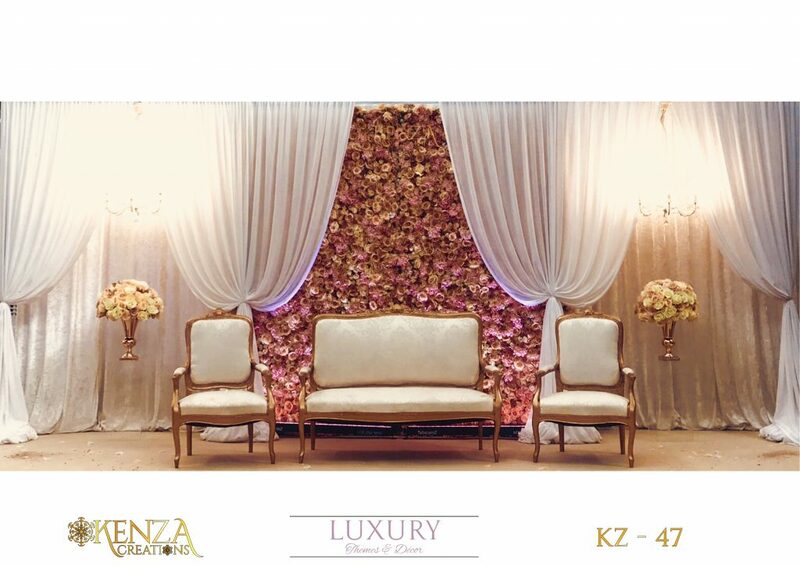 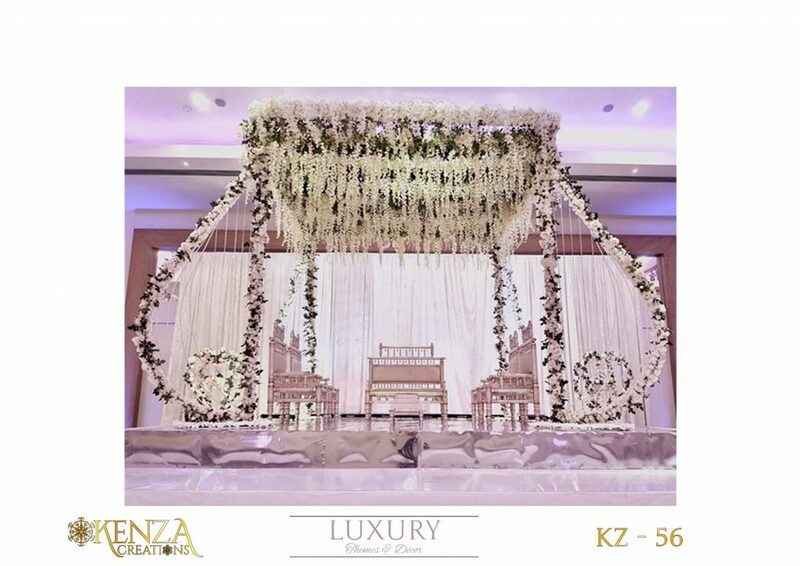 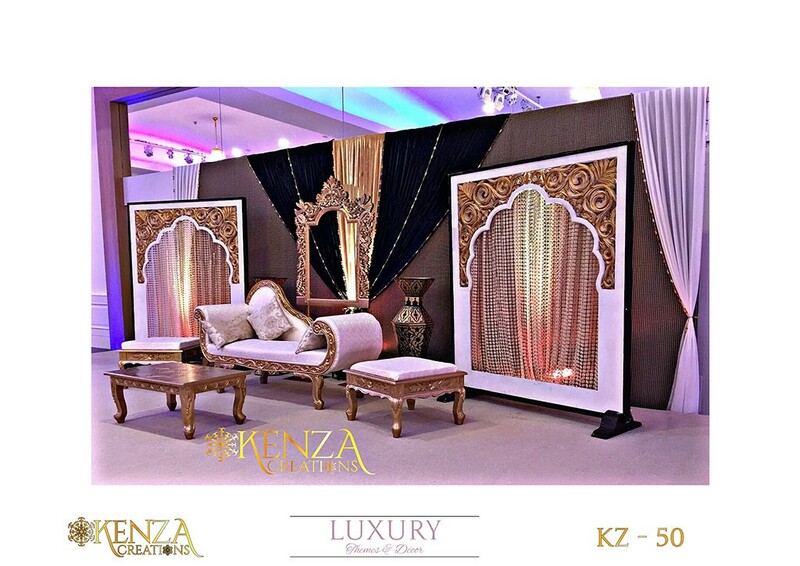 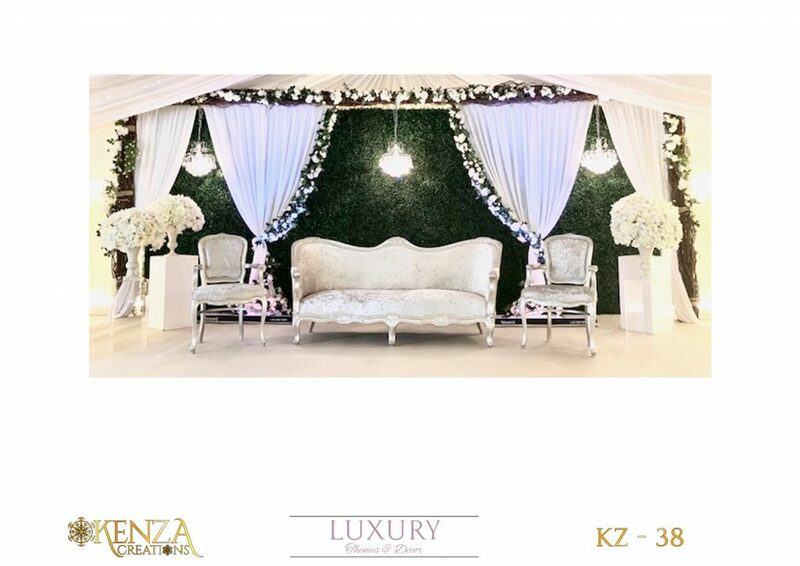 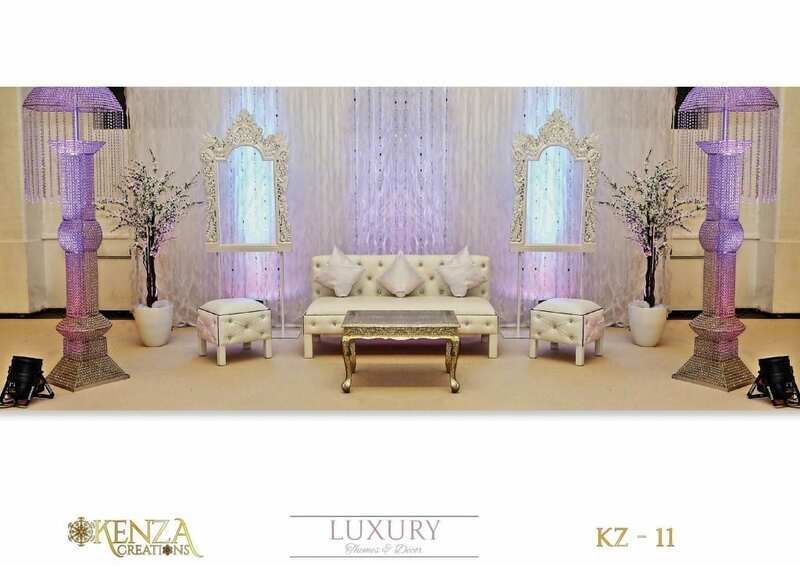 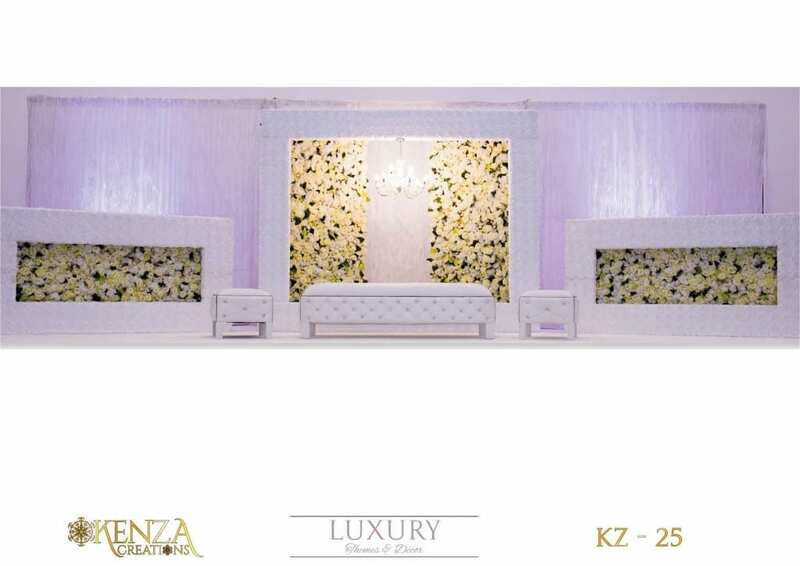 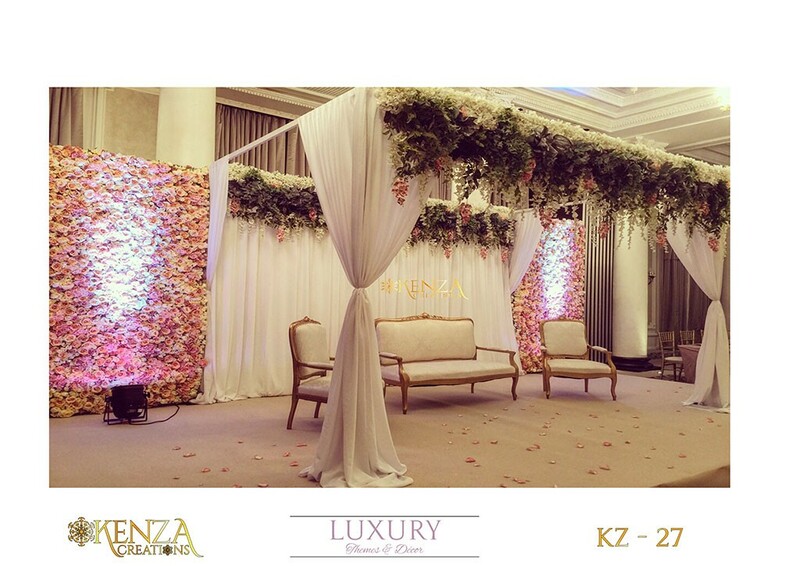 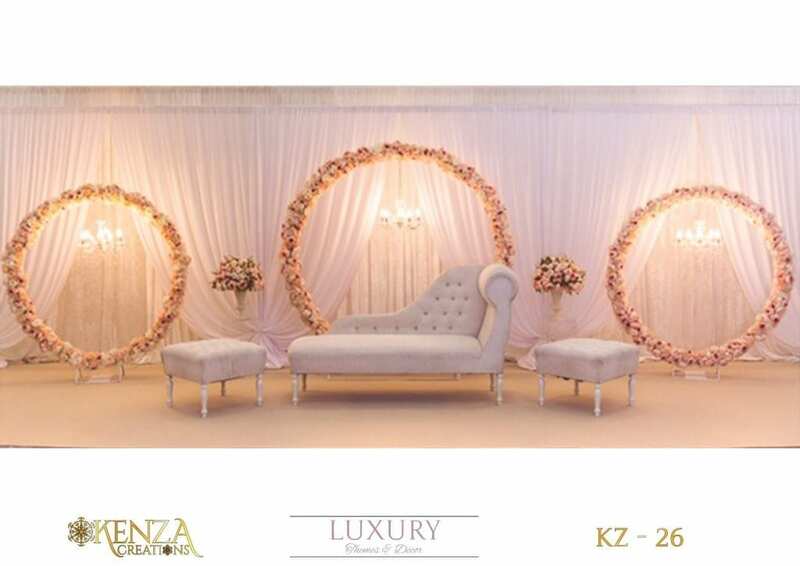 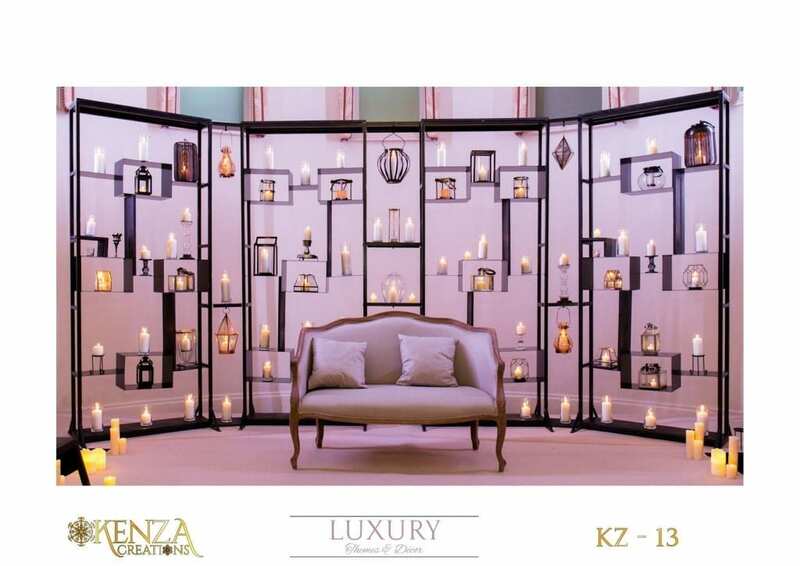 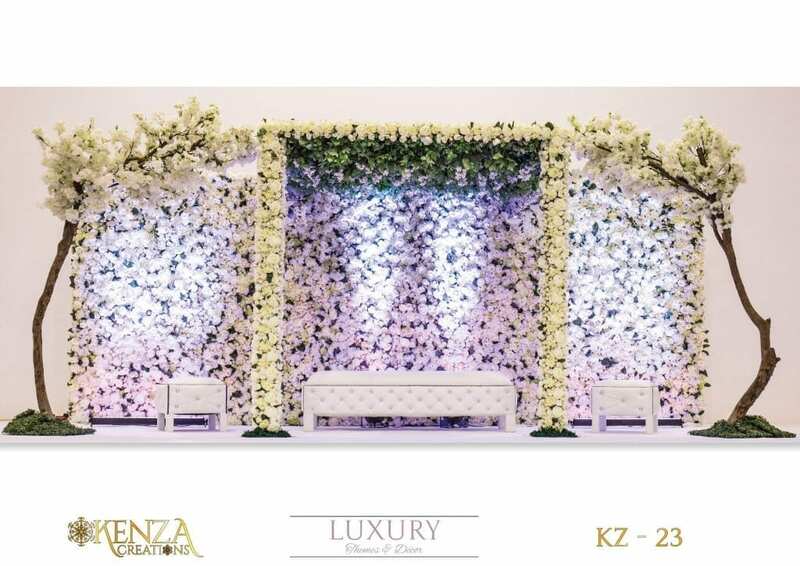 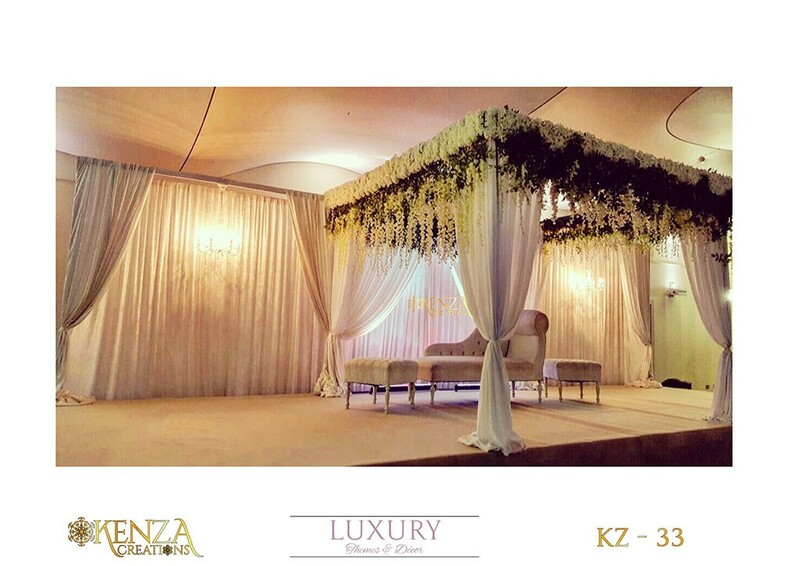 At Kenza Creations, we understand how important the small things are when it comes to event decoration and planning. 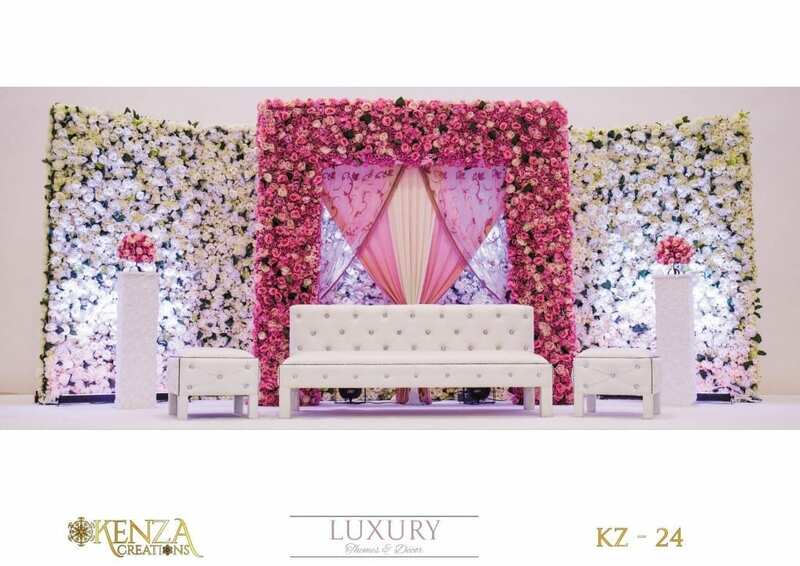 Whether you are arranging a wedding reception, housewarming party, birthday dinner or a fundraiser, choosing a memorable colour scheme is a very important part of the process. 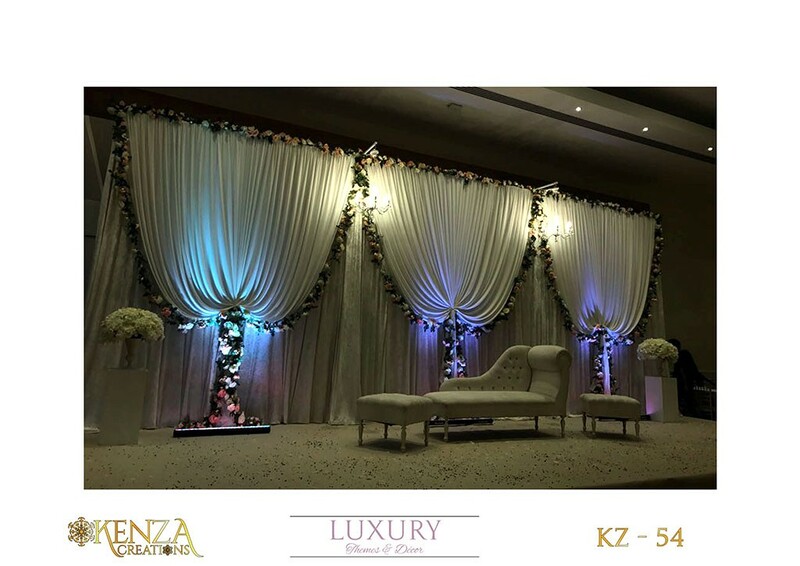 Choosing the right colours creates a lasting impression in the minds of your guests and ultimately elevates your reputation. 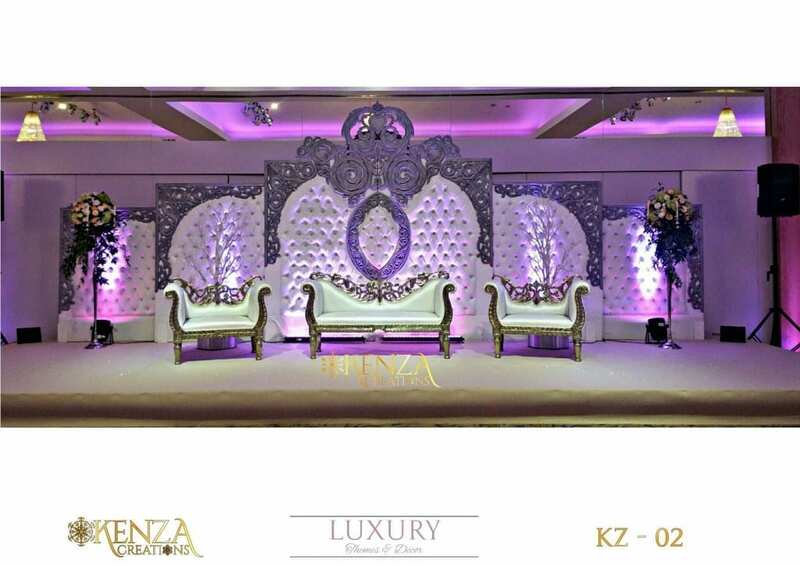 So what do you need to consider when choosing a colour scheme? 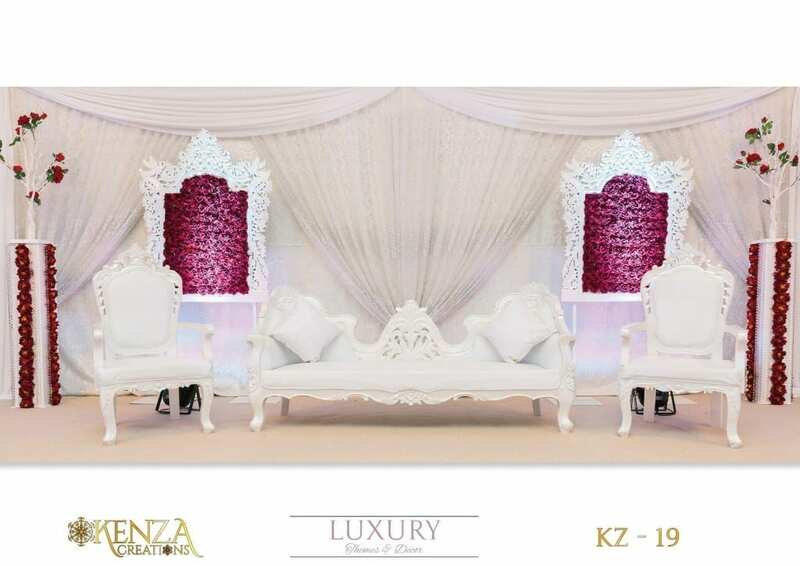 First you have to understand the psychology of all the different colours. 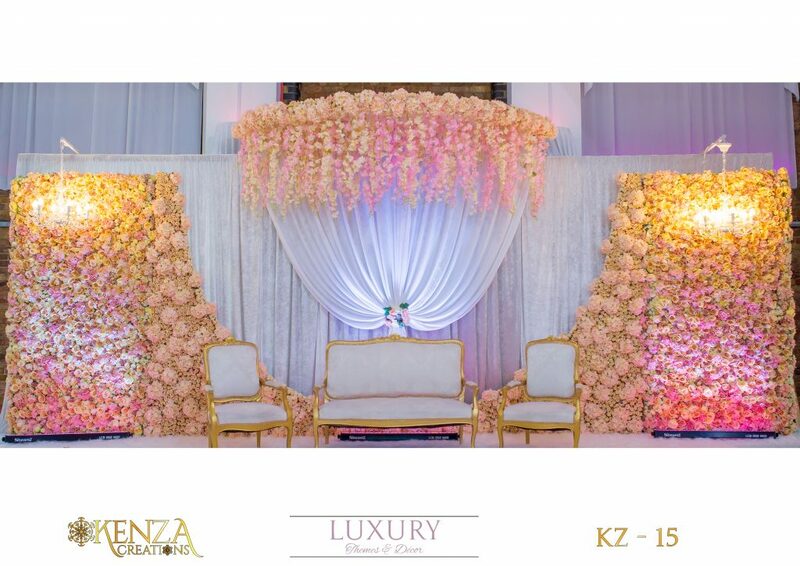 This understanding will help you set the mood for your event and allow you to start matching different tones and shades to create the right atmosphere. 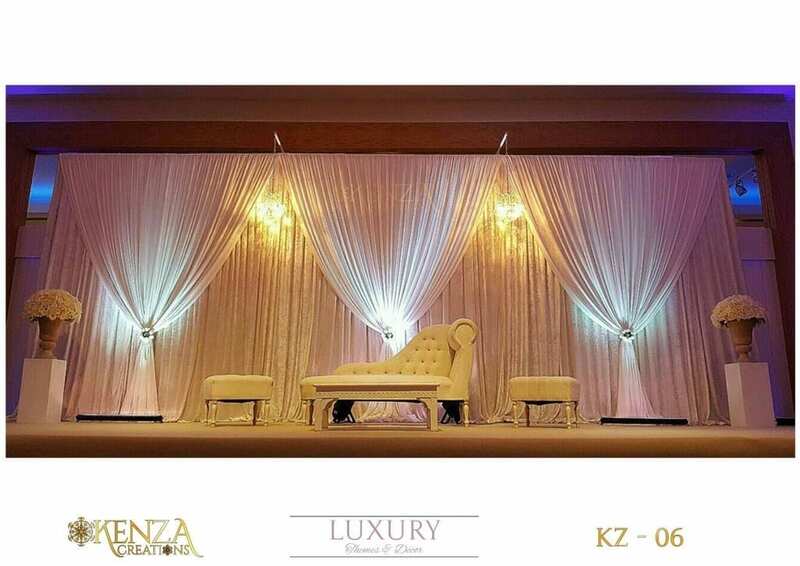 What kind of ambience do you want to set? 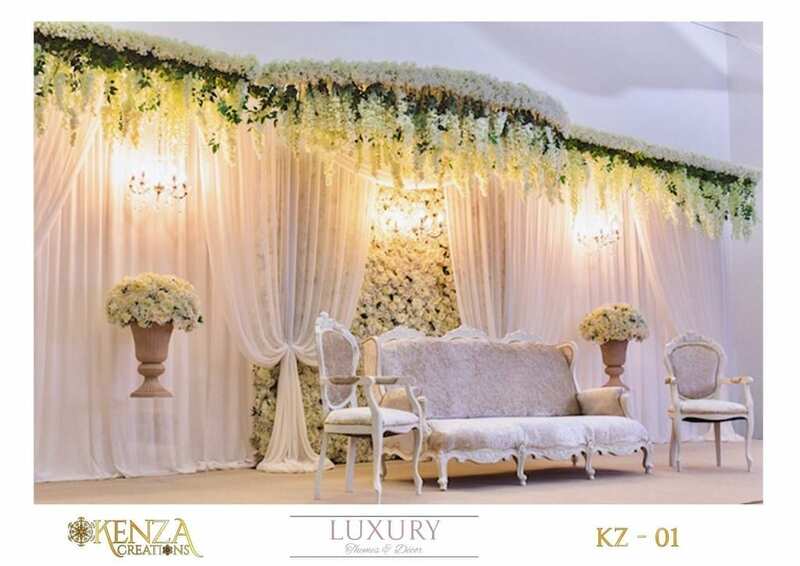 Is it warmth and friendliness? 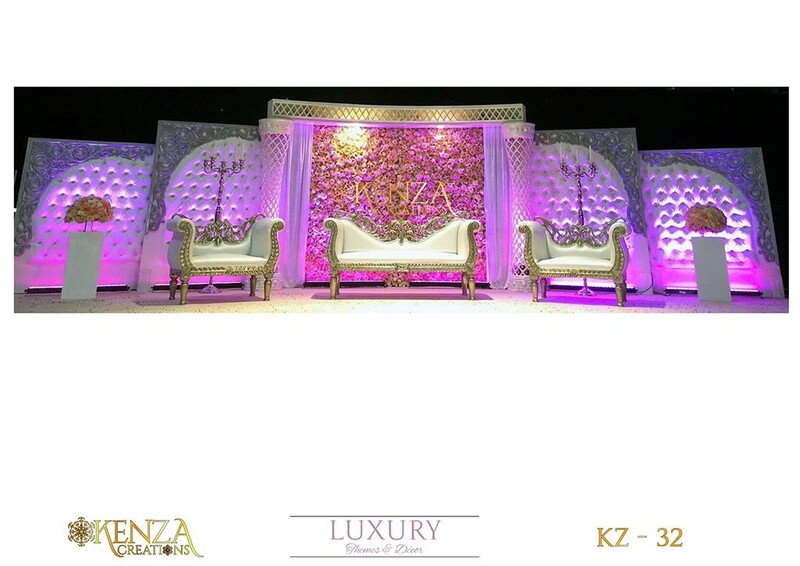 Or excitement and fun? 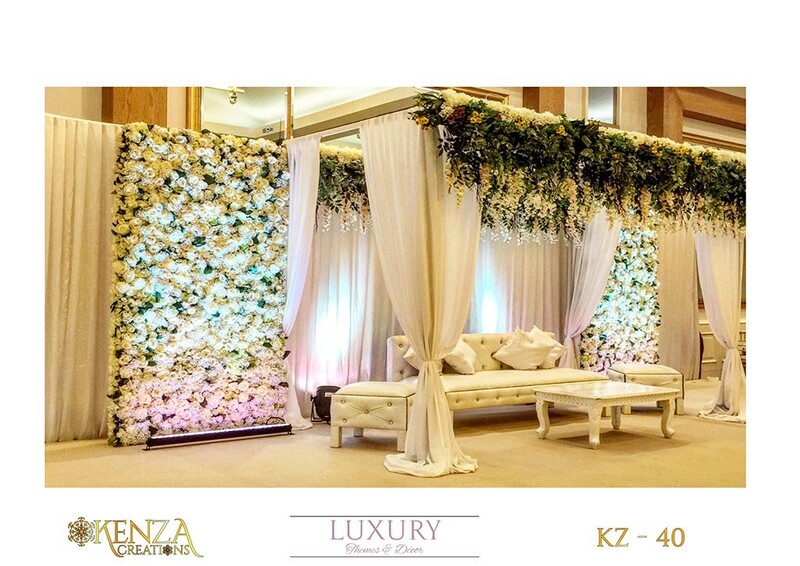 White signifies innocence and purity and can create feelings of simplicity and clarity at your event. 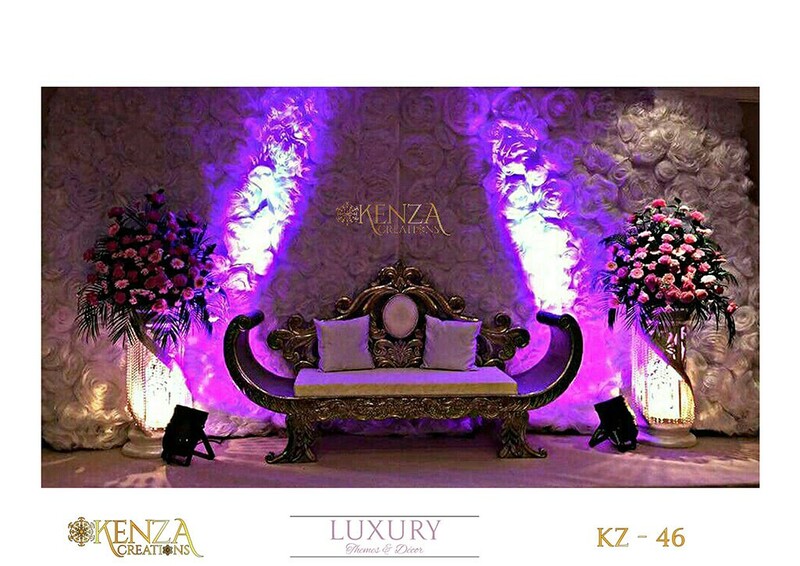 Purple can give your event a royal feeling of wealth and indulgence. 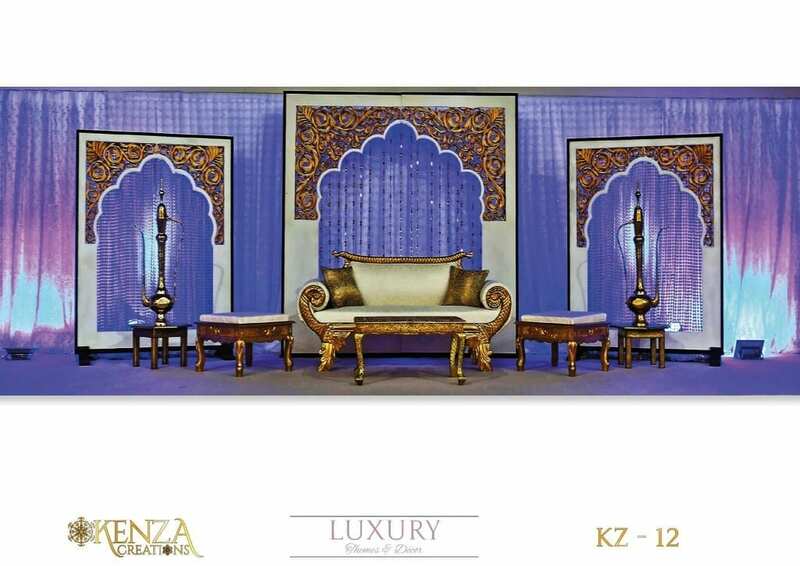 Blue provides a sense of peace and serenity and can encourage your guests to be calm and relaxed. 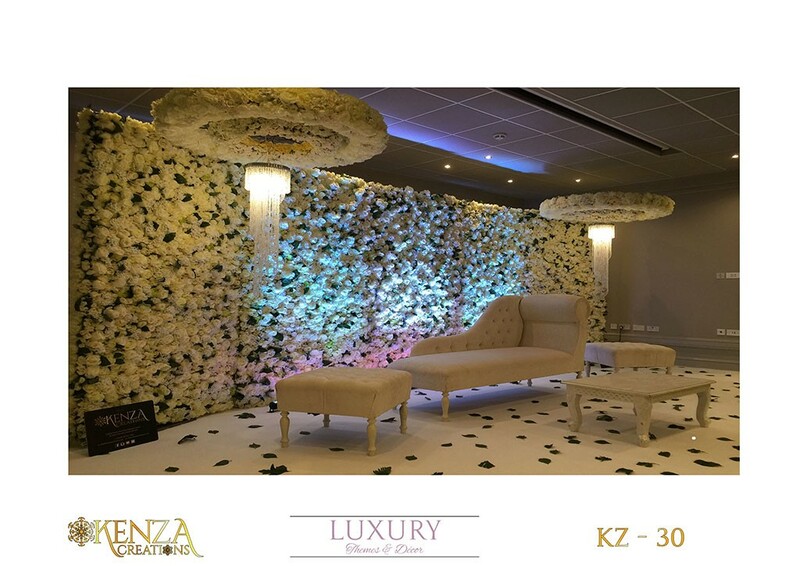 Green, which represents nature and life, can also be a calming colour and provides a sense of stability. 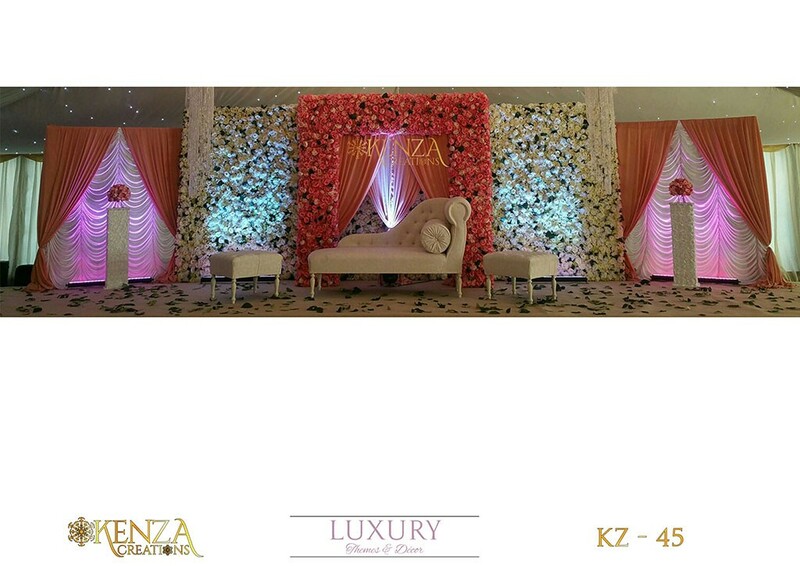 Orange is a vibrant and playful colour that can elicit feelings of excitement and energy. 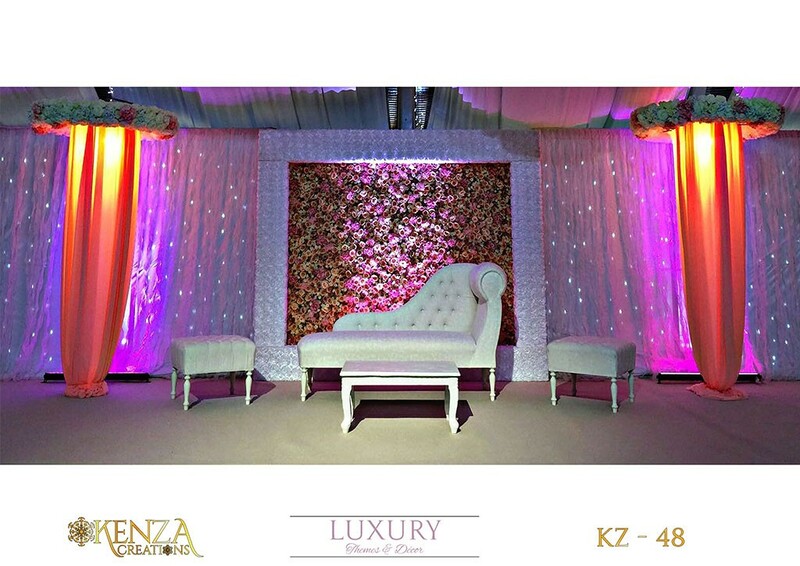 Red is a colour that really pops and makes a statement. 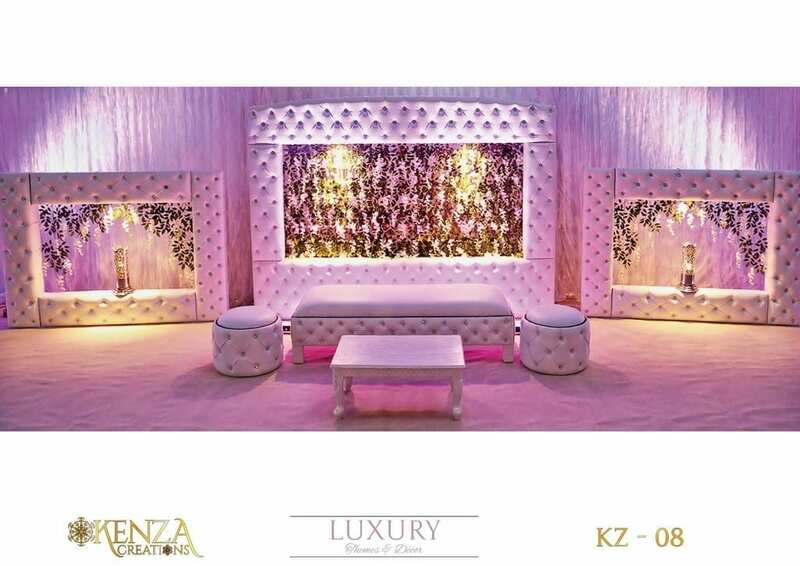 It will make your event charged with energy for all the activities that you plan. 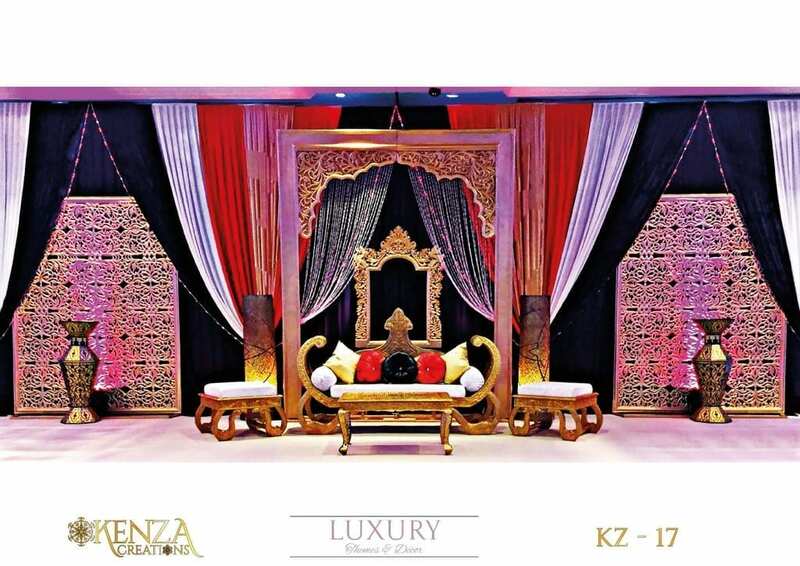 Black is a colour of sophistication, power and elegance. 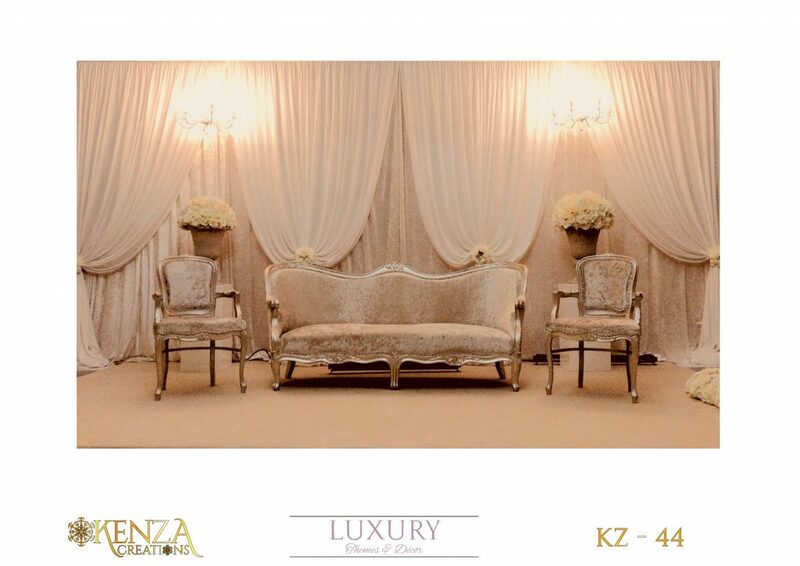 Suitable for mourning, rebirth and high-end events, it is a highly used colour for many occasions. 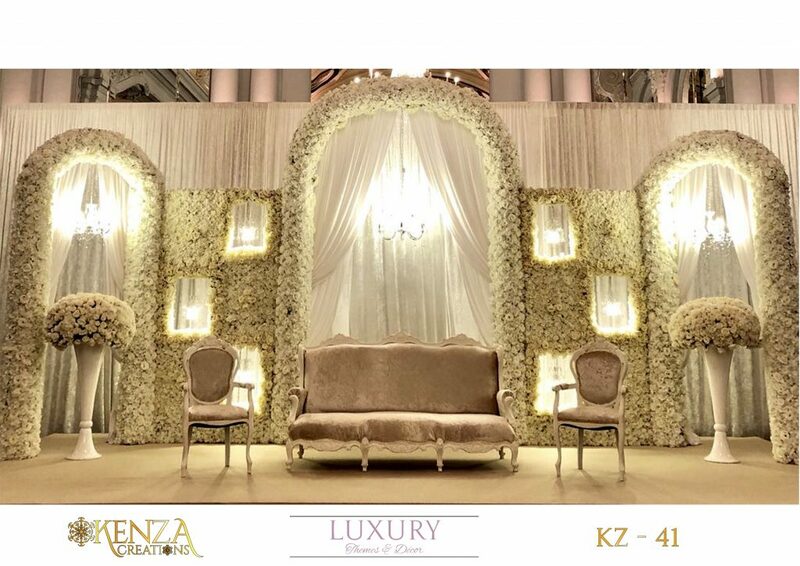 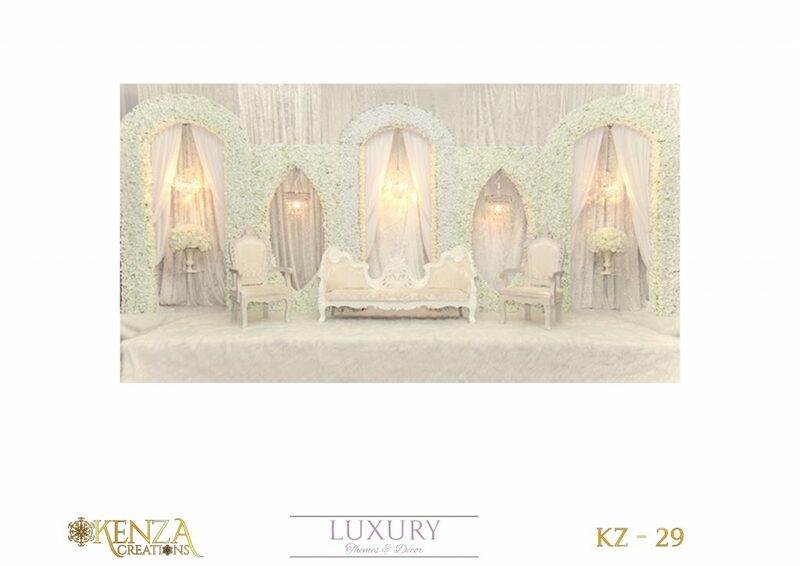 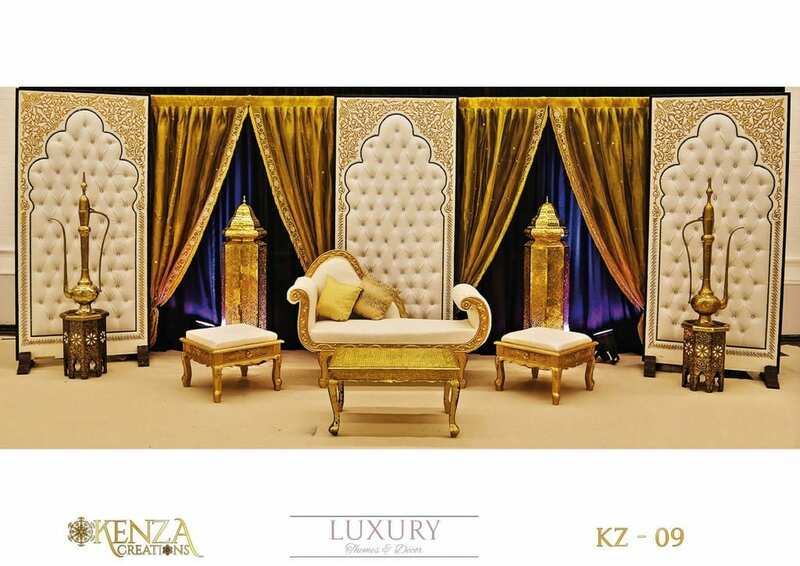 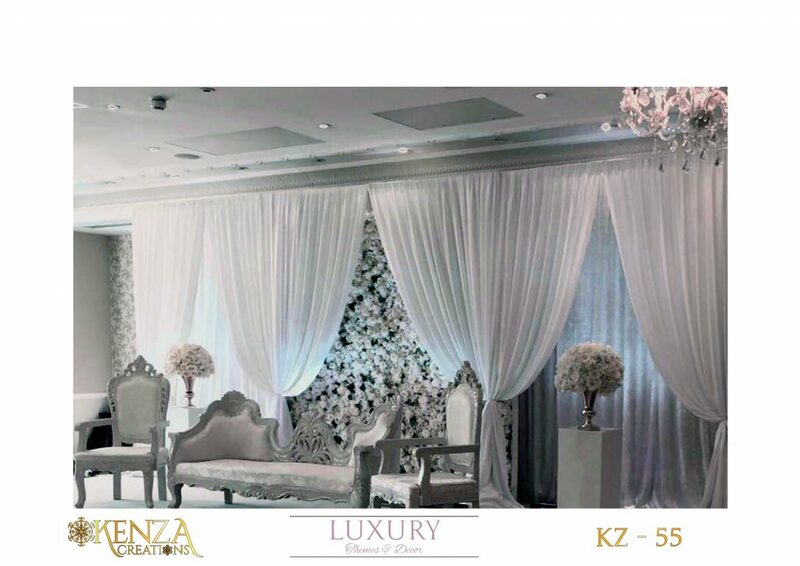 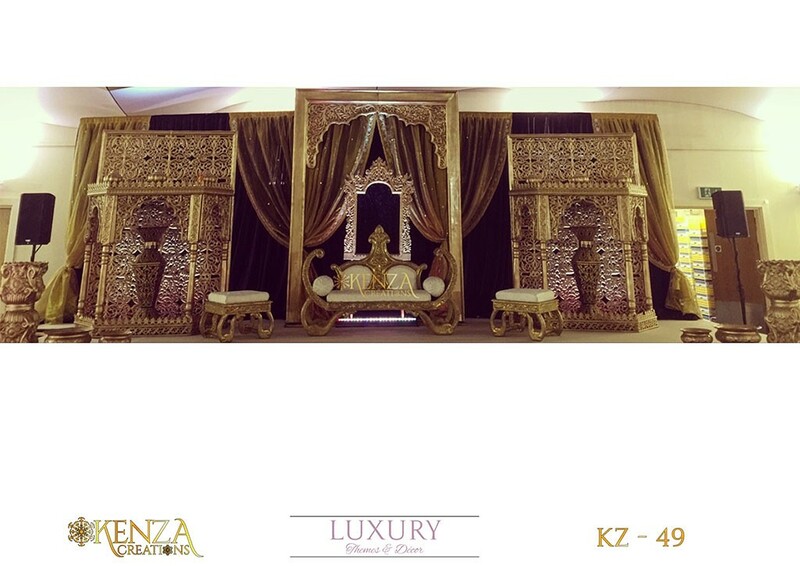 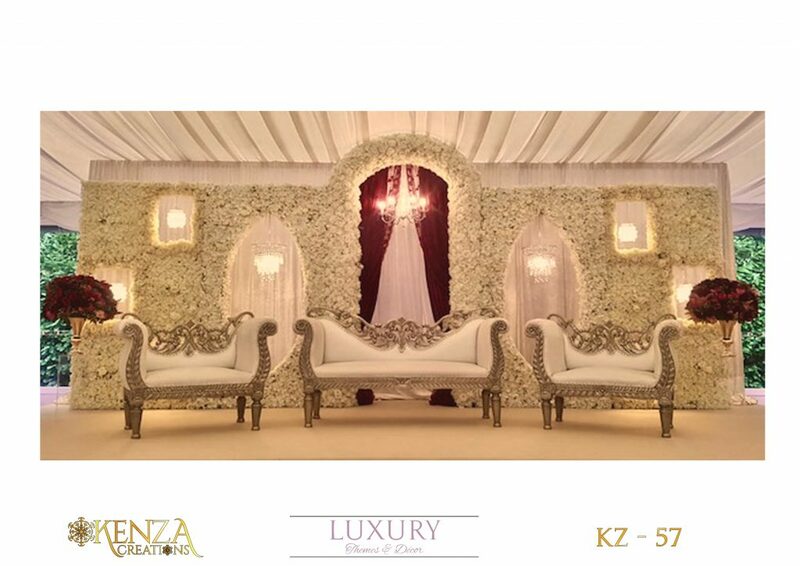 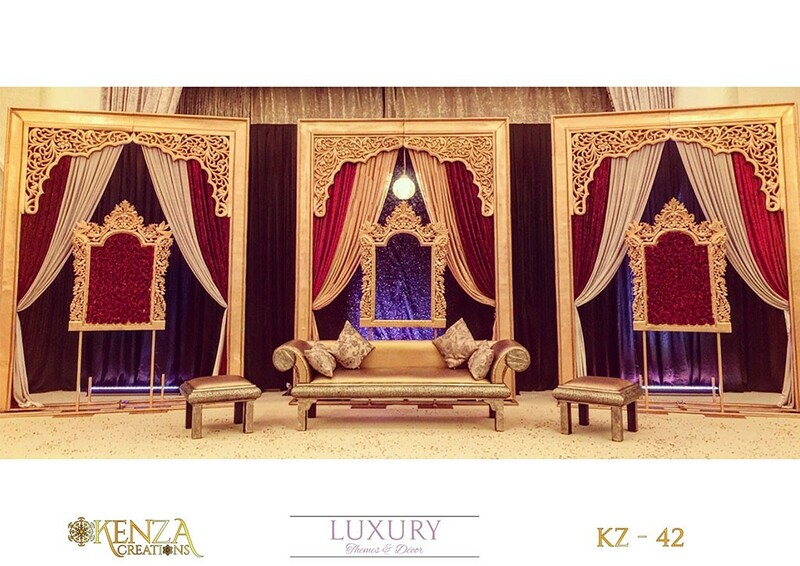 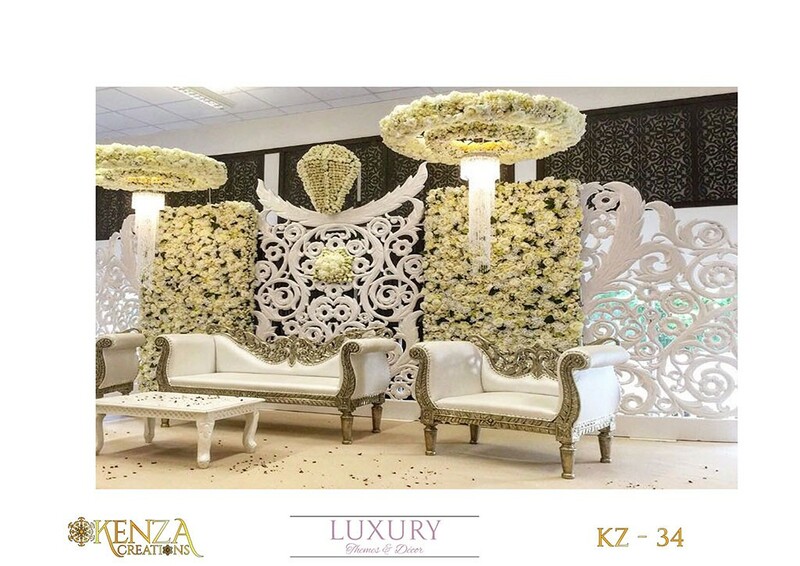 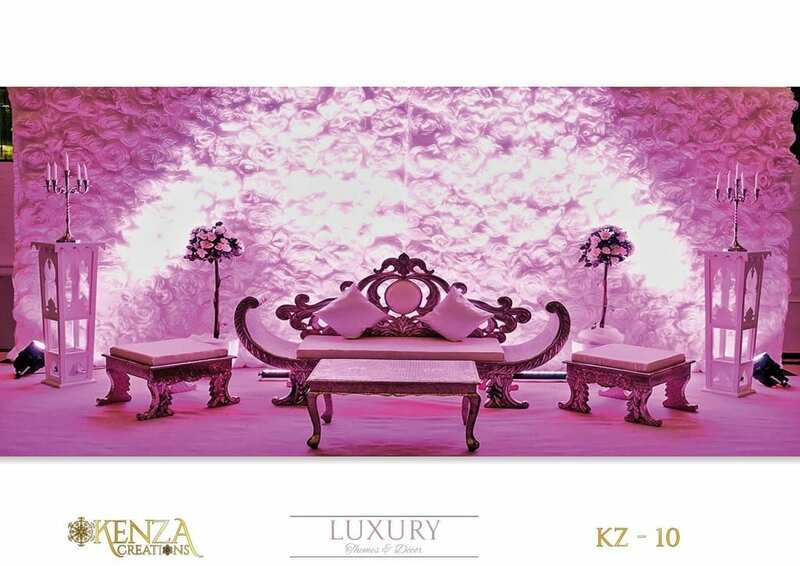 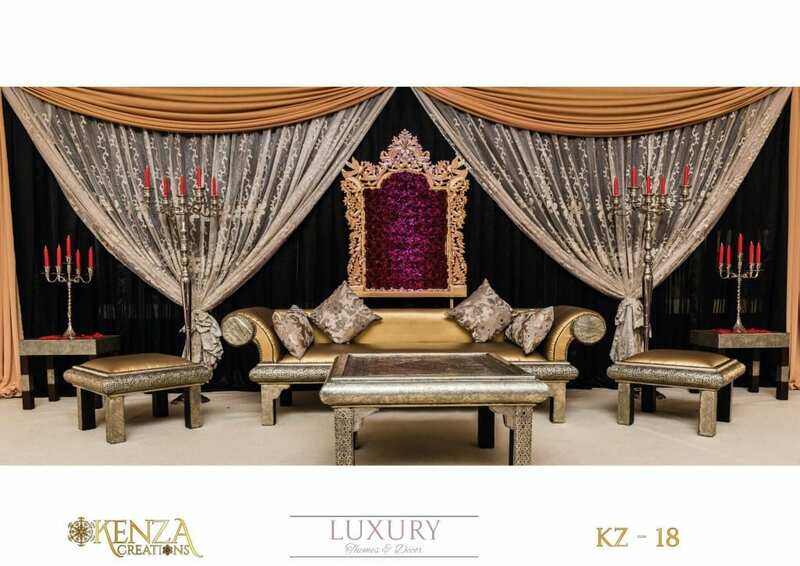 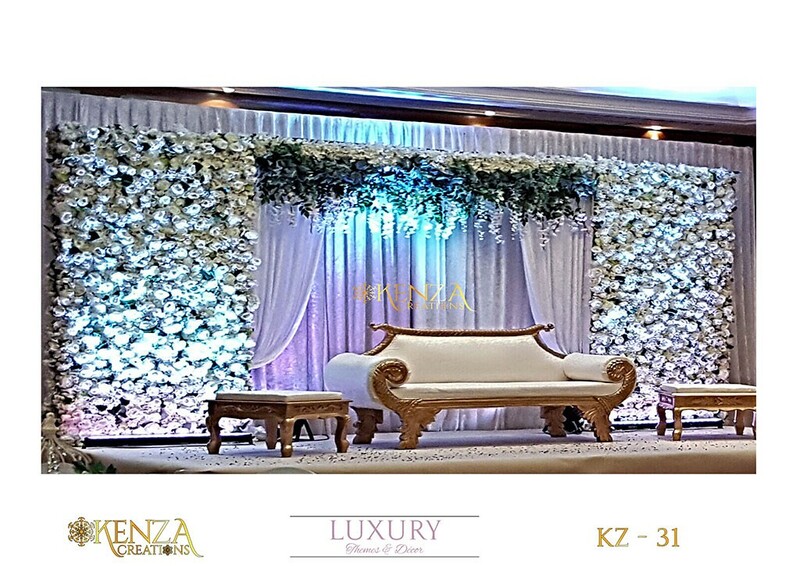 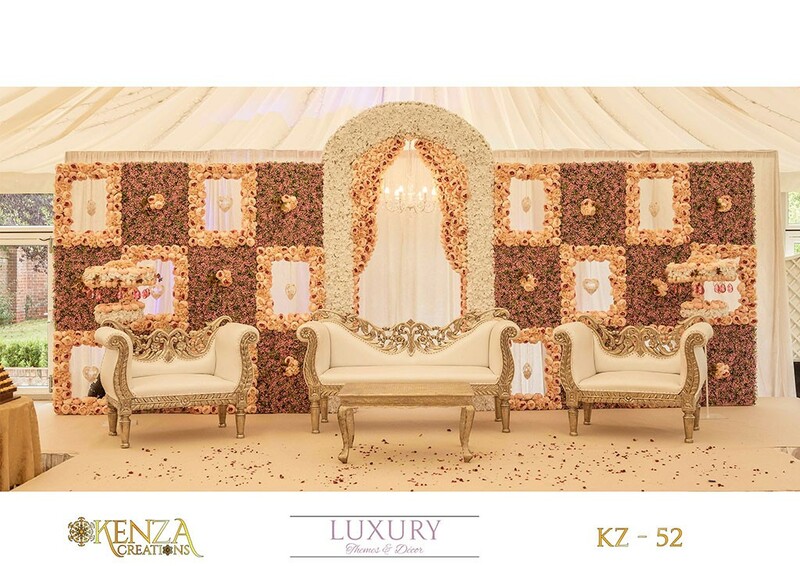 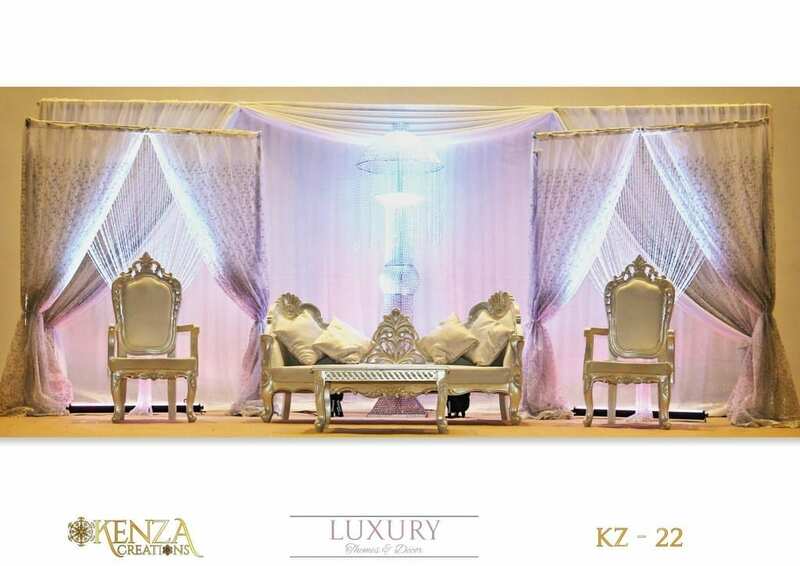 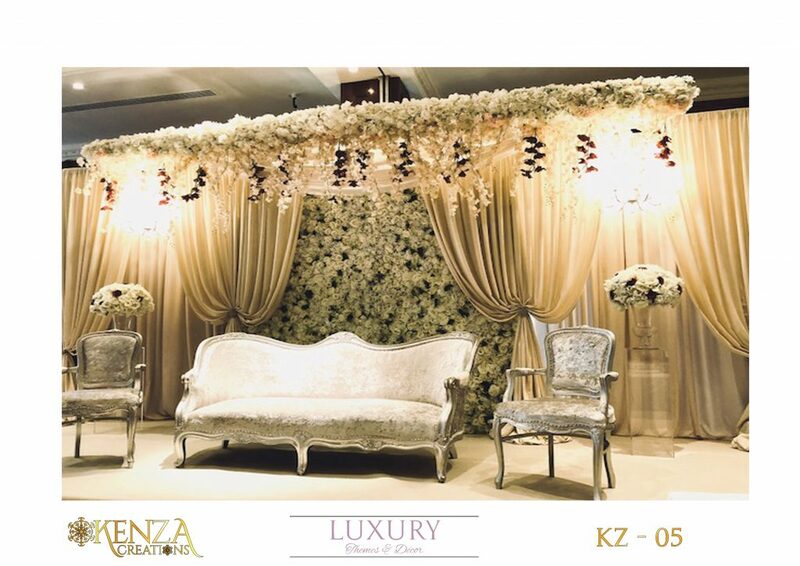 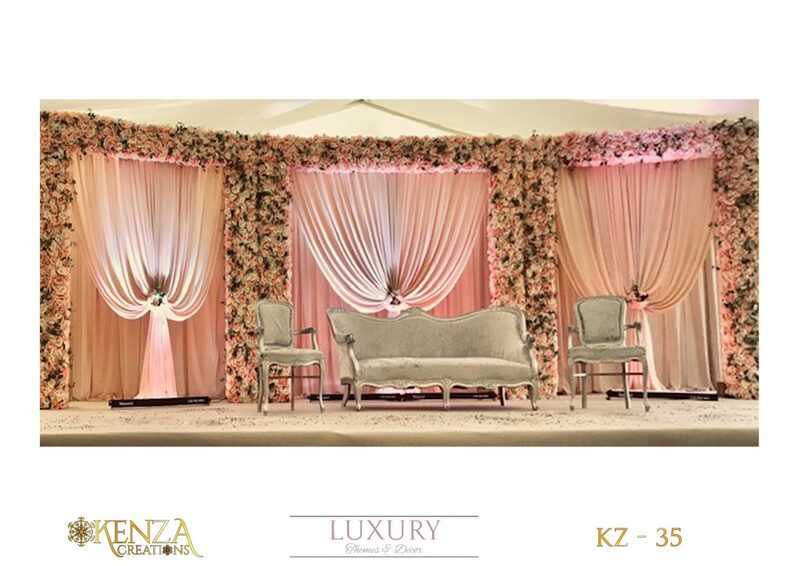 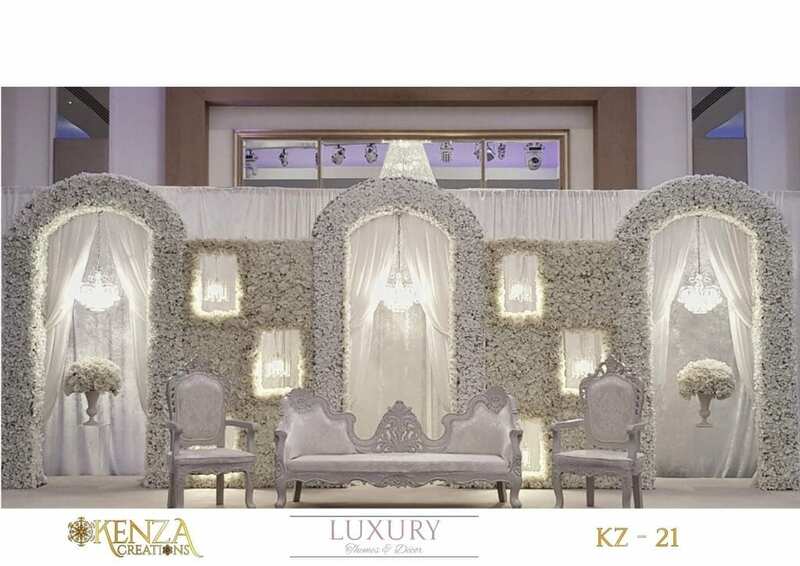 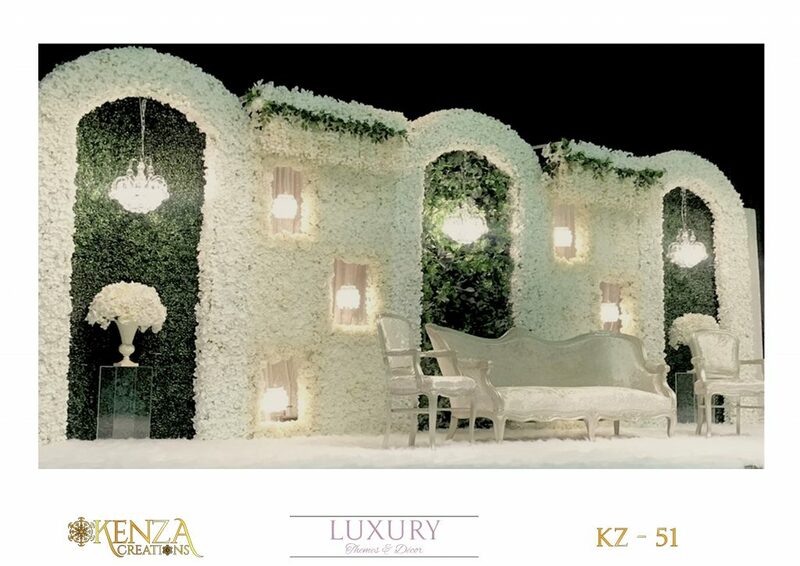 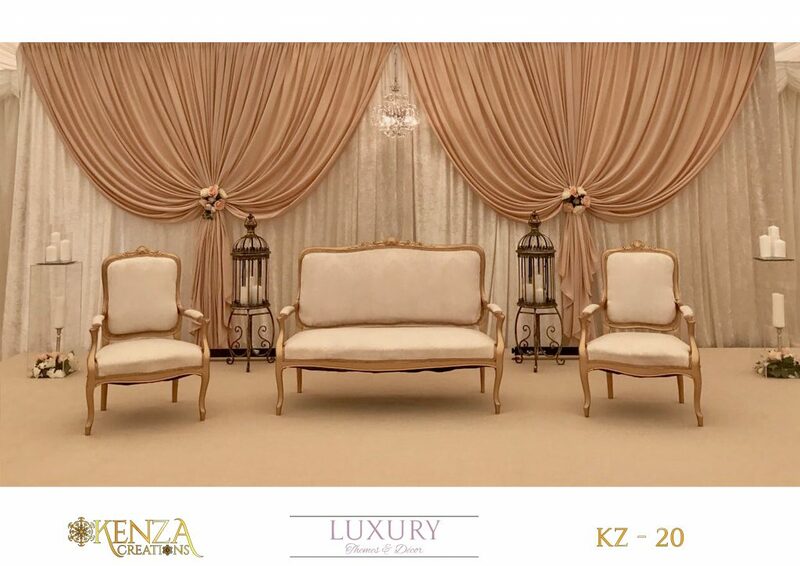 At Kenza Creations, whatever mood you are trying to create we will assist you in choosing the right colour scheme. 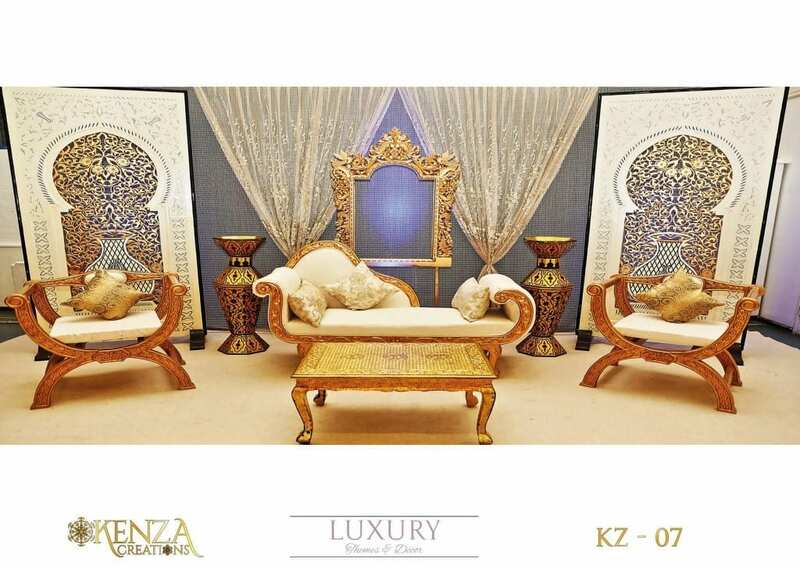 We will advise you on current fashion and home design trends to get inspiration. 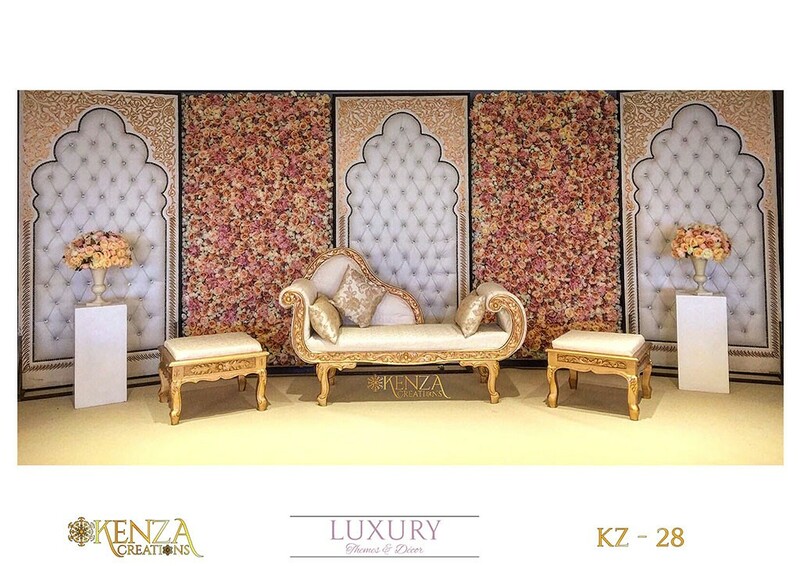 It’s not enough to simply use all the colours you like; you have to match them in suitable combinations too. 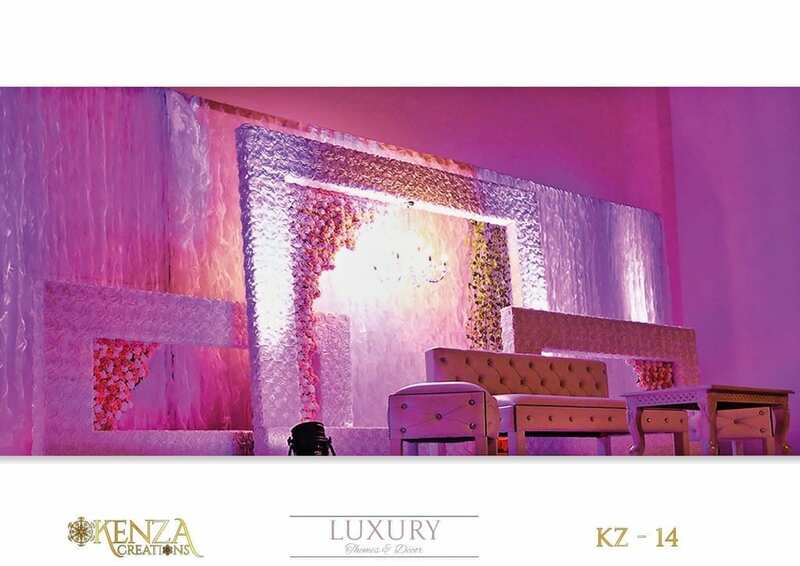 This also means you have to understand shades and hues to know how to combine your colours effectively. 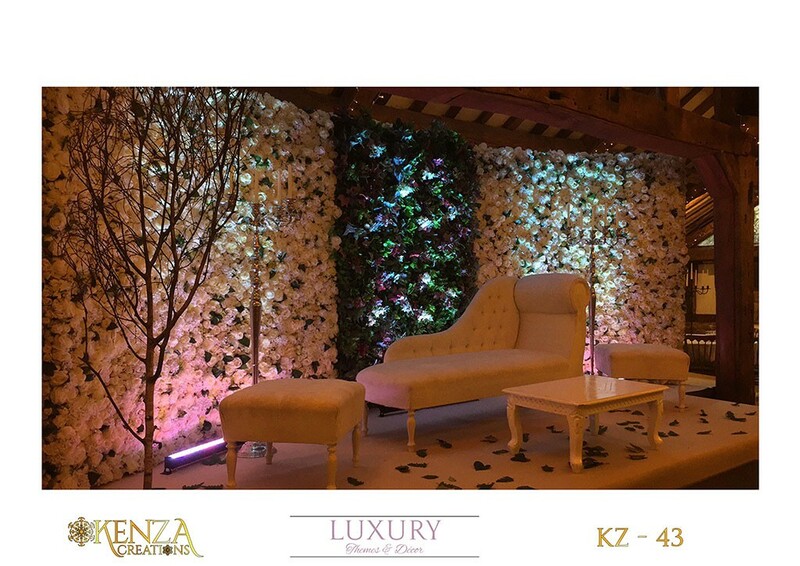 Using trendy colours shows you are socially aware and modern and this is something we can help you with. 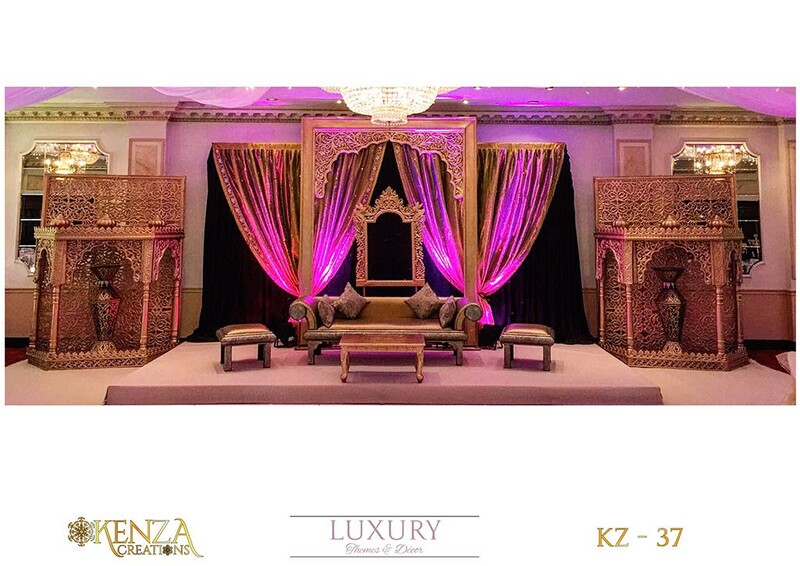 Don’t get carried away with using too many colours. 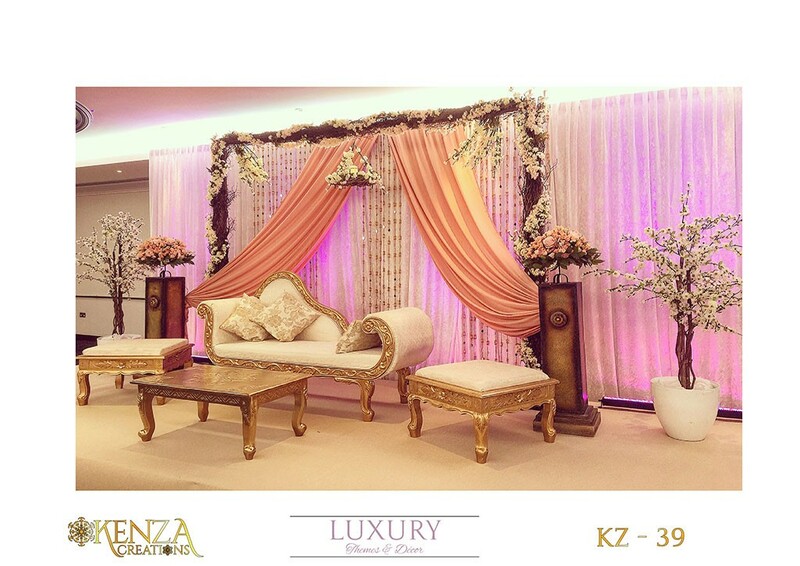 Stick to natural shades and simple colour schemes of only one or two colours. 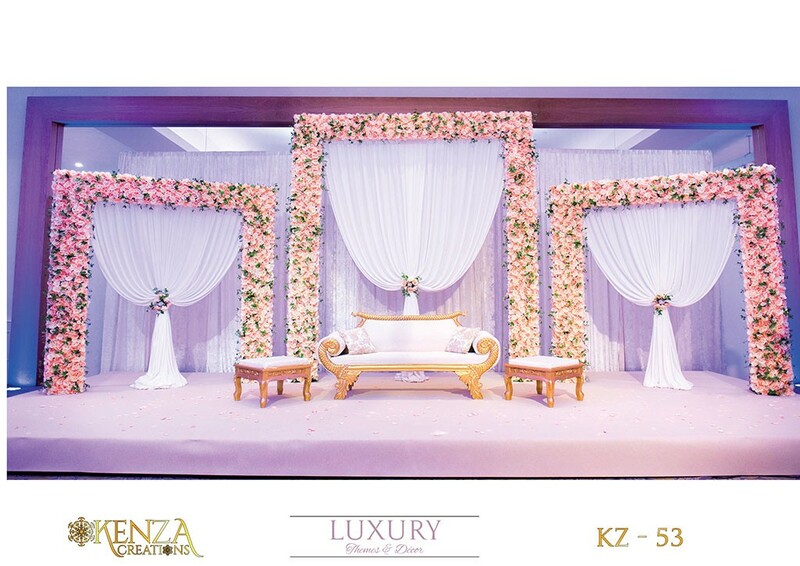 That way, it won’t overload your guests and will leave them feeling happy. 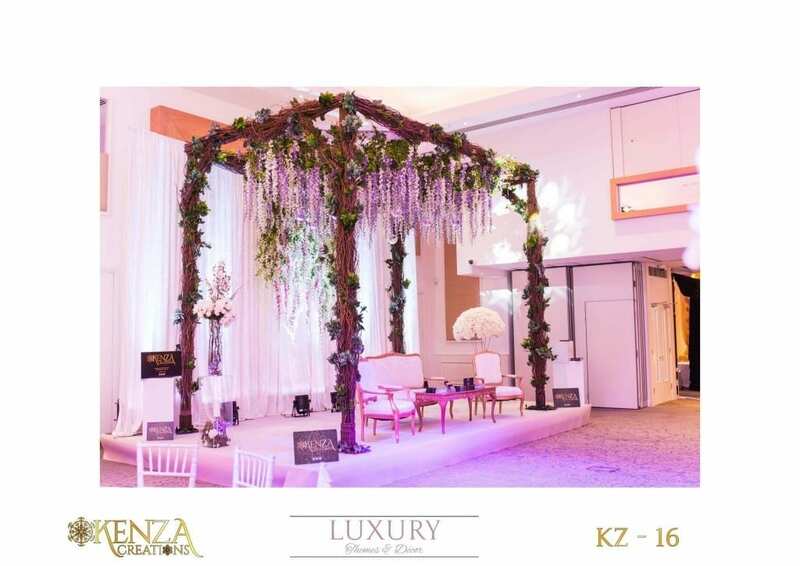 To design your own unique event setting or to learn more about event decoration in London, contact a member of our team on 020 7511 3398.